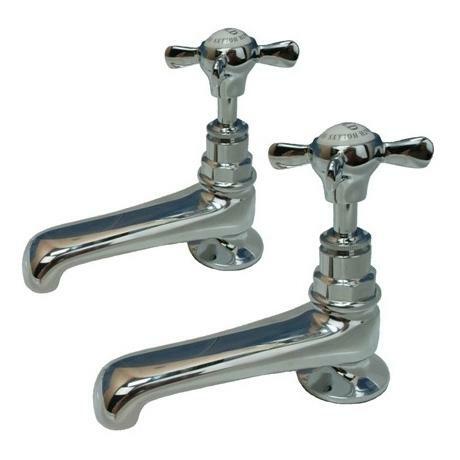 These basin taps are made from solid brass and are fittedwith ceramic disc valves. The cross handle is a close reproduction of a tapmade during the Victorian era. Each handle features the white ceramic chip withthe "HOLLYS OF BATH" logo. Handcrafted from solid brass, this tap faithfully recreates the uniqueVictorian styling of over 100 years ago. The engineering is reassuringly solid and the look traditionally elegant. Q. Can I purchase the quater turn stems? Hi Colleen, please email info@victorianplumbing.co.uk and we will try and source these for you. Please be aware there would be a shipping cost. Thanks!